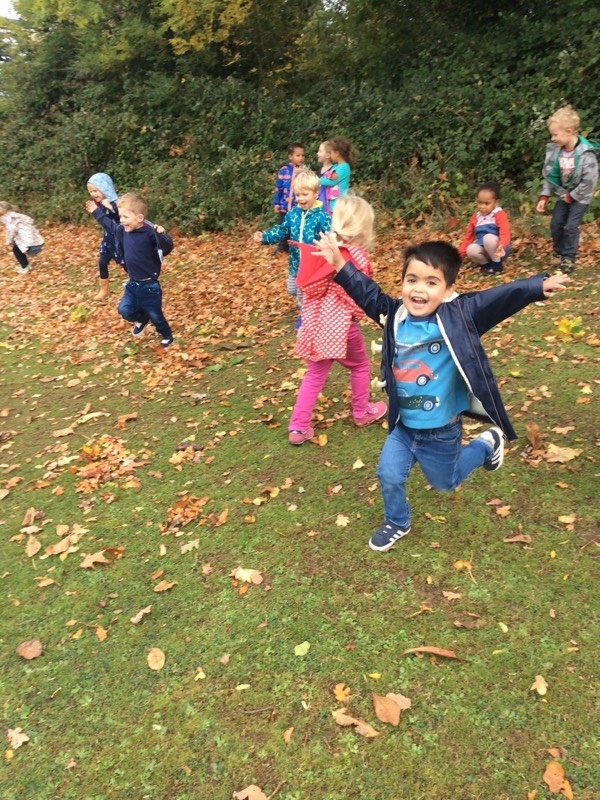 It’s that time of year again; the leaves are changing colour and the days are getting colder. Autumn is well and truly upon us, so we’ve been doing lots of autumn activities with our preschoolers here at Holy Apostles! Starting with investigating nocturnal animals, we introduced the topic at carpet time to find out how much the children knew already. The children were keen to find out more about hedgehogs and we decided that our first art activity would be to create a hedgehog out of our collection of autumn leaves. 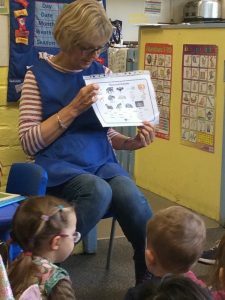 Everyone wanted to find out facts about hedgehogs, such as what they liked to eat and what sort of place they liked to live! 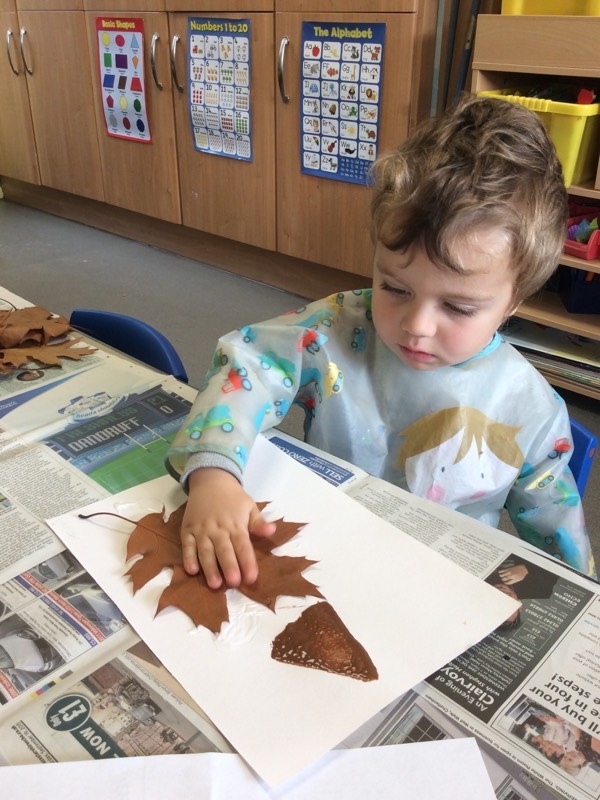 The children really enjoyed the process, especially printing the snout and carefully gluing the leaves in place to make his spikes. Some children had seen a hedgehog in their garden and thought about suitable hedgehog names such as “Rocky”. 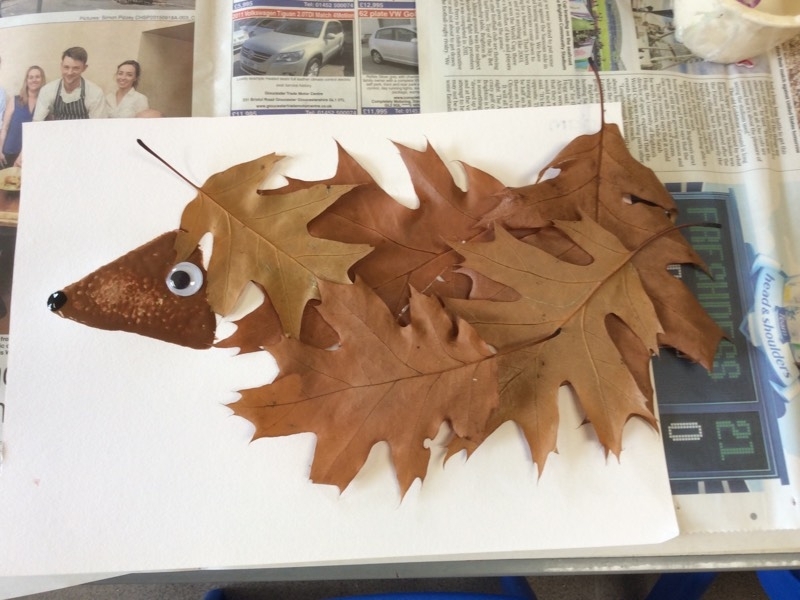 The finishing touches and careful addition of a ‘googly’ eye made the leaf hedgehogs seem real! They were very pleased with their efforts. 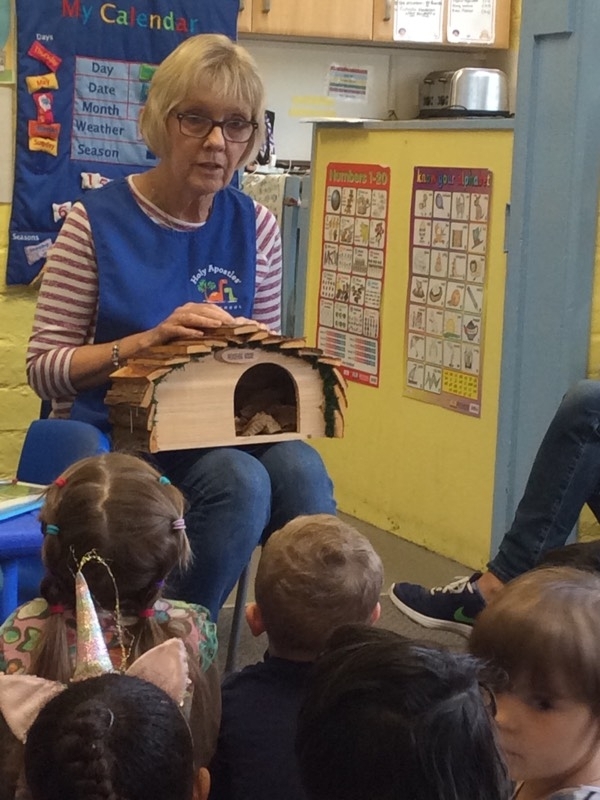 We talked some more about habitats and decided we would like a hedgehog house at Holy Apostles’ Pre-school. 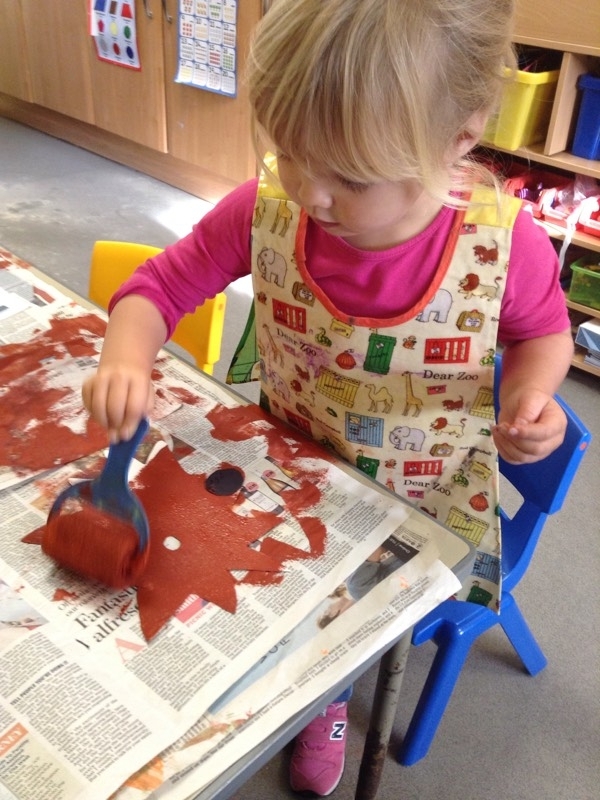 We thought about the best place to put it and lined it with fallen leaves to make it snug and inviting! 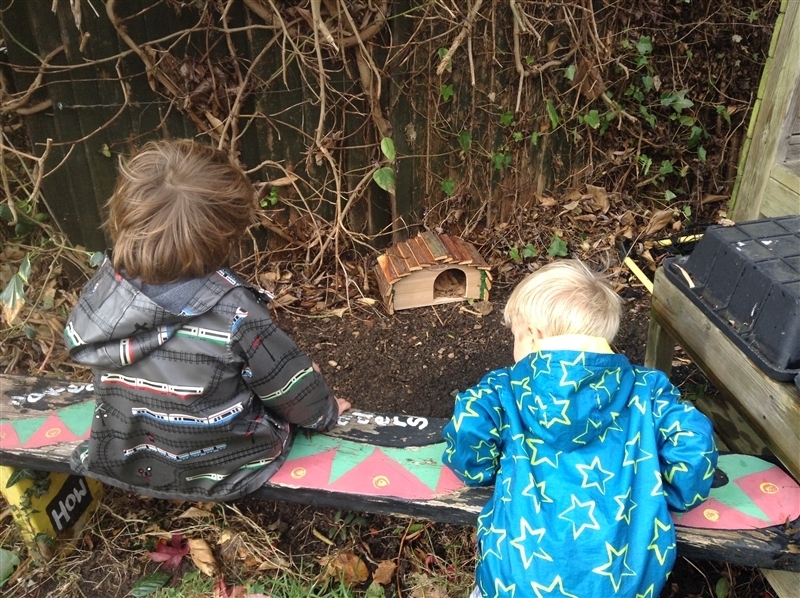 The pre-school children check daily to see if any hedgehogs have moved in! 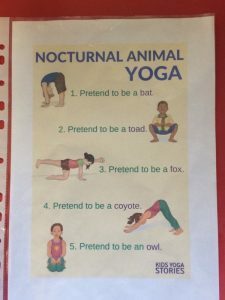 More fun was had when we learnt some Nocturnal Animal Yoga positions, another fun autumn activity for preschool! The children were very excited to show off their balance positions. 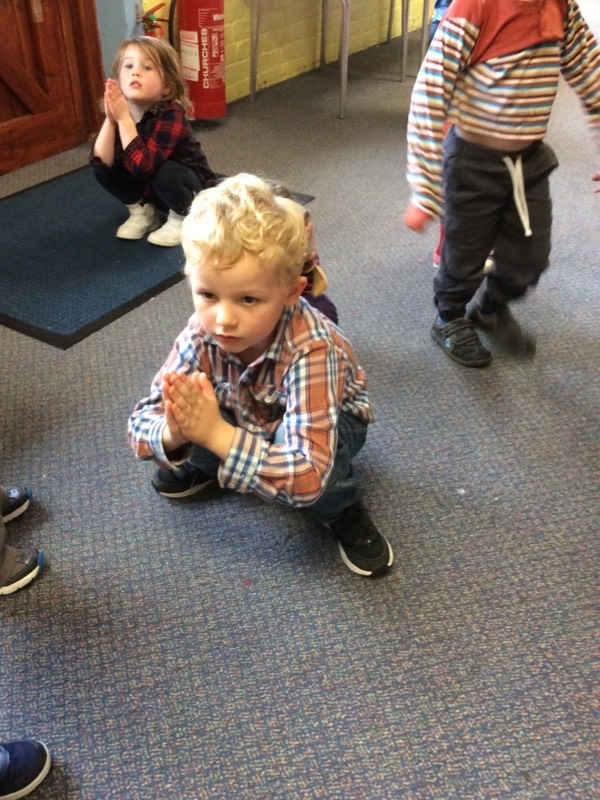 We learnt all the poses and even the adults joined in! 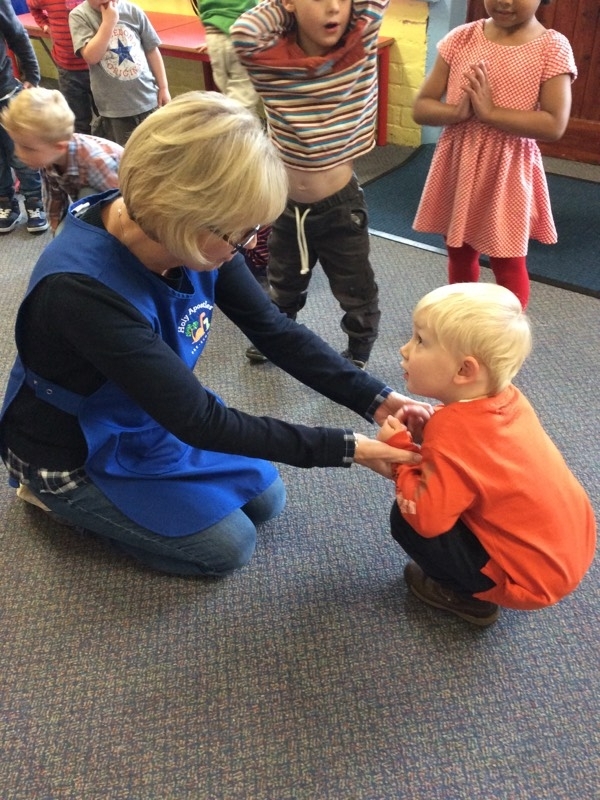 Alex just needed a little support and encouragement from Mrs Brooker before he achieved the “Toad pose”. Even the youngest pre-schoolers tried a tree pose whilst warming up! 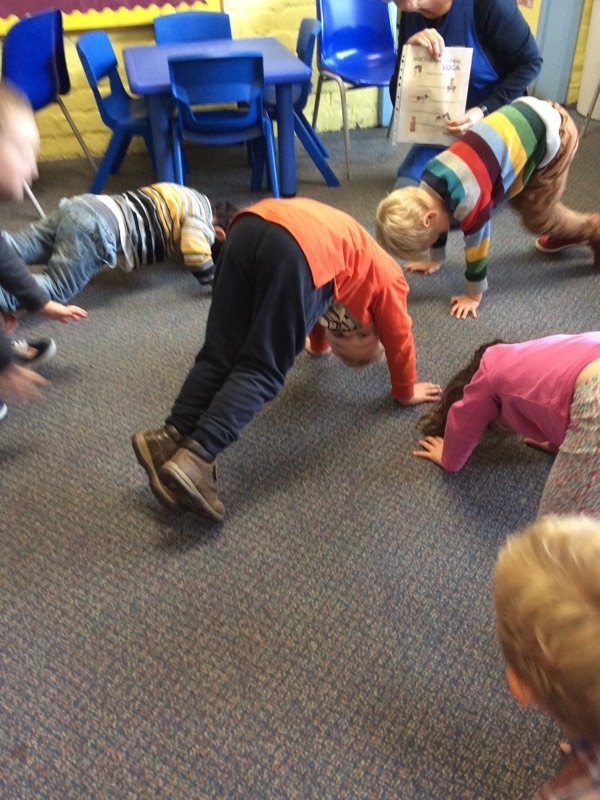 The toad pose certainly proved a popular one and became very competitive to see who could hold it for the longest! 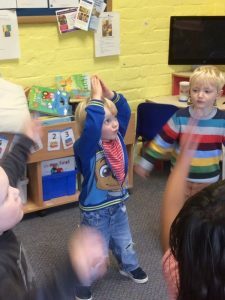 The coyote proved to be more challenging but the fun was in having a go! 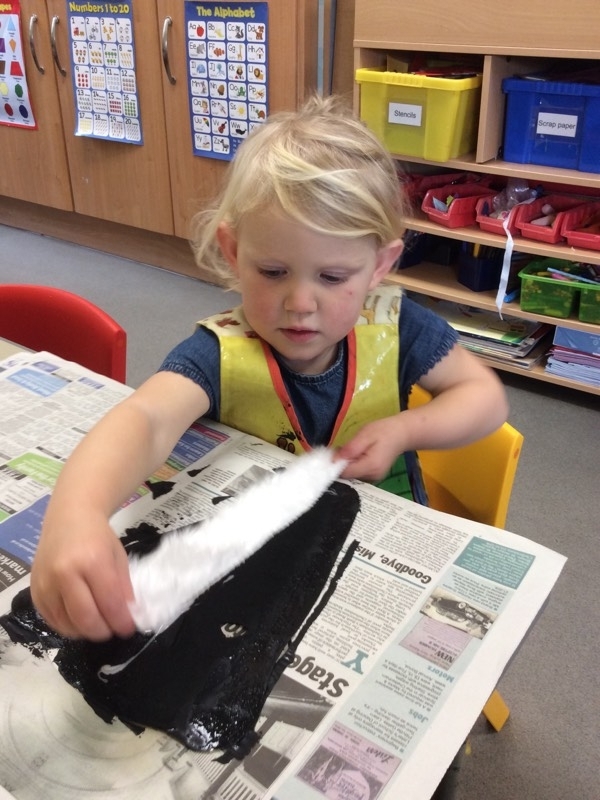 We continued our theme of nocturnal animals with a mask making activity. The children chose whether to make a badger or a fox! Lots of opportunities for language development occurred as the children asked questions about the animals. 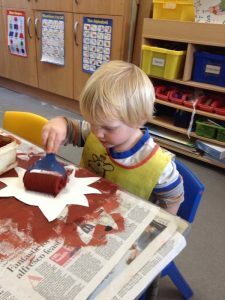 They also had opportunities to develop their manual dexterity in using scissors, paintbrushes, rollers and glue sticks. 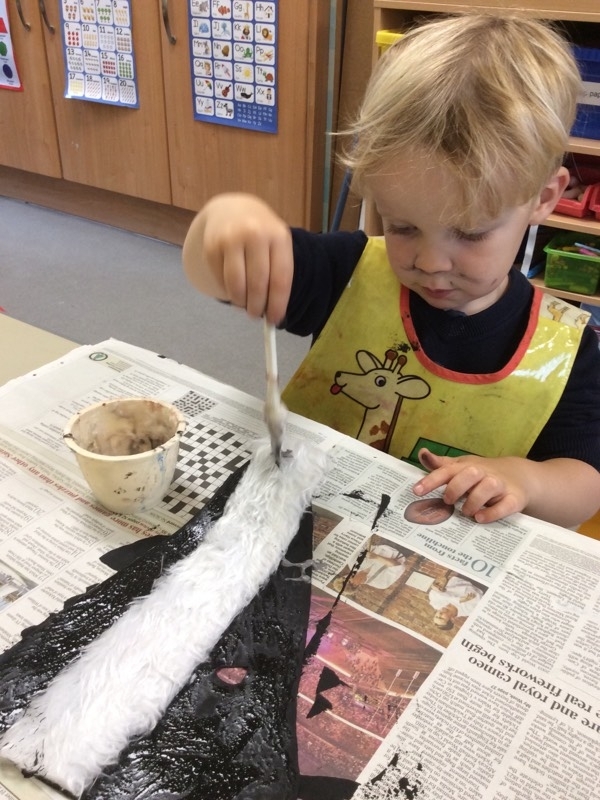 The concentration demonstrated by George and Sophie shows how important it is to get your badger mask just right. It might also involve getting black paint on your face! 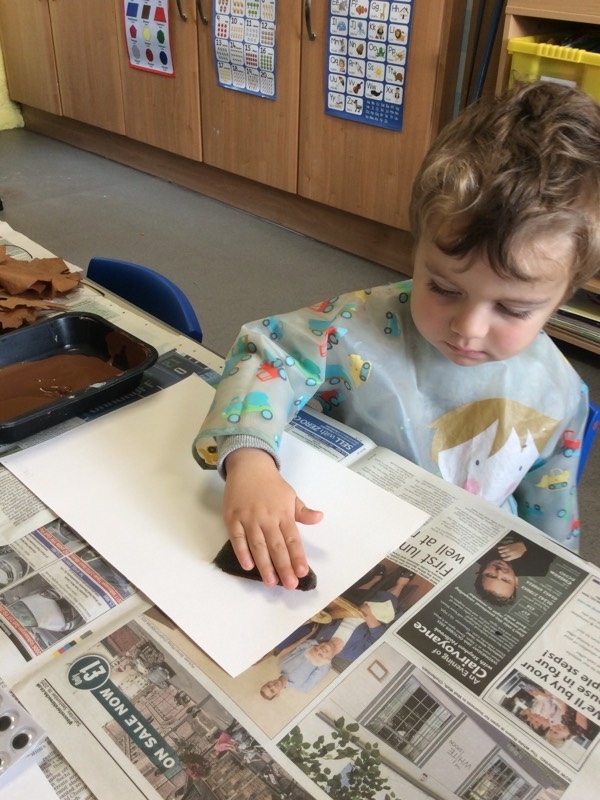 Alfie and Agnes chose to make fox masks, and were confidently using their rollers! 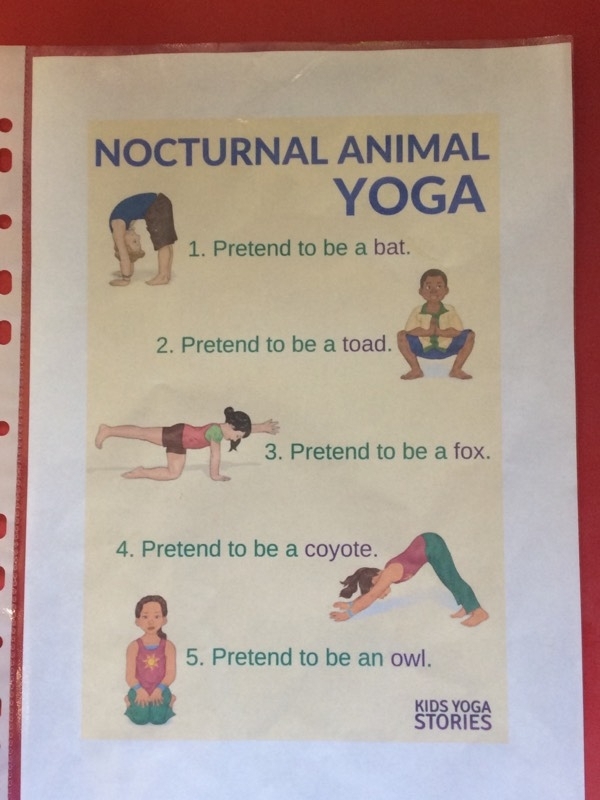 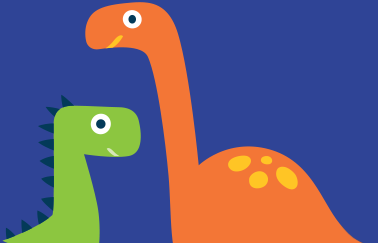 Nocturnal animals have proved to be a very engaging topic at Holy Apostles’ Pre-school. I’m sure that the children will continue to eagerly await the arrival of the first pre-school hedgehog in our hedgehog house! It’s one of many ideas we’ve had for autumn activities for preschool, and we’re so glad everyone had such a great time getting stuck in!